Out of town for a few days: I'll post my adventures later this week. HOW did you make an ostrich--that stinky, meanie bird--look so lovely? Ostrich or emu? Not sure. Either way, a great hook! I'm intrigued. 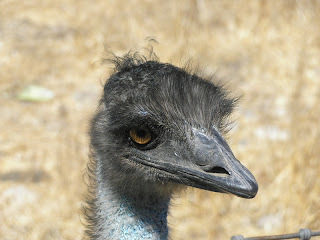 I'm thinking Emu myself, but perhaps thats because I just left Australia 24 hours ago to make my way back home to NZ. Hey all! It's an emu! I didn't know whether it was an ostrich or an emu when I first saw it either, so I had to ask. 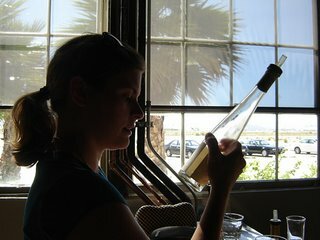 I took this picture at Koehler Vineyards near Los Olivos. What a stunning collection of photos. Simply breathtaking!